The return of PokerStars to US shores via the single-state regulated market of New Jersey remains on pace for a full debut on Monday, March 21, as a five-day “soft launch” period being conducted by PokerStars and its corporate partner, Resorts Casino Atlantic City, continues on without any readily apparent hitches. PokerStars and Resorts Casino AC began the soft launch on Wednesday, March 16, allowing small numbers of pre-invited New Jersey player to conduct real-money poker play on the pokerstarsnj.com site. On Wednesday and Thursday, the site was available for an 8-hour, prime-time slot, 4 pm to midnight ET. Today, the soft launch includes a full 16 hours of access, 8 am to midnight, and the site will be open for 24-hour play to the pre-invited players on Saturday and Sunday. Overall, the site will only allow 500 players to participate simultaneously through the remainder of the weekend’s soft-launch period. Monday, likely at 12:01 am, the site will be open to deposits and play for all New Jersey residents, and at least a brief rush from many of Stars’ former tens of thousands of New Jersey-base players is likely to occur. 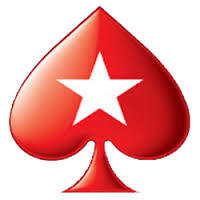 PokerStars is allowing former New Jersey players to reactivate their old account information and screen name that may have existed prior to April of 2011, when the earlier, gray-market version of PokerStars offered its online services to most of the US. A coupe of little twists with that have already emerged. First, registering in such a manner converts any existing Stars “.com” account to one affiliated with the pokerstars.nj operation, which as an intrastate offering is firewalled. For any former NJ residents who may have relocated overseas to continue playing on PokerStars post-2011, registering back to the new New Jersey site this appears to be a one-way move. Also, some former Stars players who lived in other US states before 2011, but now live in New Jersey (thus making them eligible to play), reported not being able to open their new accounts. Instead, they were being re-directed to Stars’ international dot-com site, where they would have been unable to deposit and play anyway. The bug was being worked on by Stars staffers at last report. PokerStars has returned with a couple of its typical bonus-deposit offers, one geared toward new and casual players ($40 up front), and the other a rake-based cashback matching offer of up to $600, suited to more experienced grinders. PokerStars veterans will remember the latter offer as being highly reminiscent of the way the old PokerStars rolled out initial and re-deposit offers. PokerStars has also announced a $25,000 freeroll for early depositors to further juice interest in the new offering, which is likely to trigger an upward spike in New Jersey’s online-poker numbers as a whole. As for what’s available, it’s currently something of PokerStars Lite, which frankly is still more than many other sites offer. PokerStarsNJ.com currently offers a limited selection of multi-table tourneys (MTTs), sit-n-gos (SNGs), which also includes some of the popular new “Spin & Go” SNG formats. As for cash-game offerings, there’s the expected Hold’em and Omaha offerings, plus stud, H.O.R.S.E., 8-game and badugi, much of which isn’t found on competing sites. Action has been thin on some of the more exotic formats to date, but that’s to be expected with a 500-player cap during the soft launch period. PokerStars has also treated the New Jersey market with its state-of-the-art Version 7 client, which s generally regarded as being a superior offering to that available of other NJ-facing sites. PokerStarsNJ, of course, is available in both desktop (Windows, Mac etc.) and Android versions. Early reports on the Mac version reported some users suffering download and installation difficulties, but again, it was a problem being immediately attended to by Stars technicians.